'Rangasthalam', starring Ram Charan, Aadhi Pinisetty, Jagapathi Babu, Samantha and others, hit the screens this Friday. Here is our review of the entertainer. 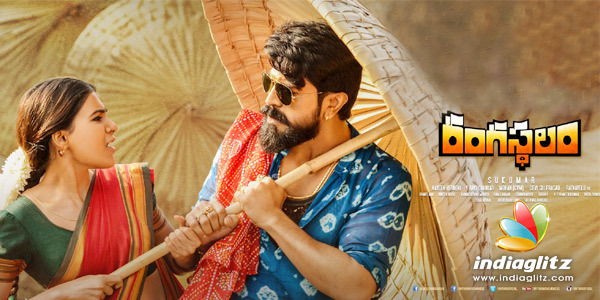 Chitti Babu (Ram Charan), partially speech-impaired, is one of those unsuspecting residents of the damned Rangasthalam, a village haunted by the spectre of President Garu (Jagapathi Babu in a ruthless role). Loan sharks condemn the villagers to a life of penury. When the going gets tough, Kumar Babu (Aadhi Pinisetty), Chitti Babu's educated brother, decides to contest against the unchallenged feudalist that is President Garu. In his fight, Chitti Babu turns out to be the backbone and Dakshina Murthy (Prakash Raj as an idealistic leader) his strength. However, things take an ugly turn and put the gutsy hero in an unenviable situation. What follows next is a bloody revenge. The premise of 'Rangasthalam' is pretty much hackneyed. By and by, you realise that the film is hell-bent on chalking out conventional scenes even while priding itself over offering a hero who is Mr. Childlike. 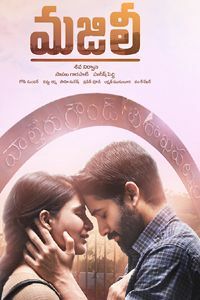 Those eve-teasers at the fair, those familiar issues in the village, a romantic track that is content with lazily falling back on the Godavari slang (for the most part), so and so forth. But the aforementioned routine elements are nothing compared to the way Jagapathi Babu's haughtiness, misdeeds and ruthlessness are portrayed through a series of template scenes. Stock dialogues abound. From Brahmaji's reaction to his shenanigans to the villagers' acceptance of their fate, everything is borrowed with practised vigour. You can see the trajectory of Aadhi Pinisetty's character from miles away. Yet, the first resistance of the Brothers (Aadhi and Cherry) is inspiring. 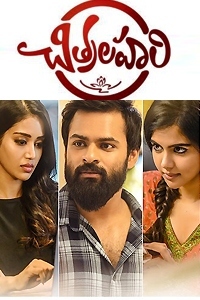 Jagapathi Babu's traditional ways on the one hand and the overwhelming emphasis on Mr. Childlike's traditional innocence on the other hand are so un-Sukumar. Anasuya's backstory is, again, another cliche. Aadhi's destiny is another. Jigelu Rani (Pooja Hegde passes muster) is one more familiar character in a typical context. Here and there, the film presents bright moments. Besides the songs, two of the scenes where the film comes into its own are: Chitti Babu's obliviousness to his father's (Naresh) submission to the President, and the way he warns the President while the latter is performing a ritual. The villain takes pride in the fact nobody even knows his name. And when Aadhi calls him by name, his ego has its first scare. And as the village slowly starts to shed its fear of him, the villain shows his vulnerability in a megalomania-cal manner. Sukumar's heroes are slowly and surely starting to shed their idiosyncrasies. They are now making their love and emotions more and more obvious. His heroines, on the other hand, seem to have started to acquire whimsicality, at least in small doses. Rama Lakshmi's heart-felt kiss in an unlikely scene is a case in point. Ram Charan, Devi Sri Prasad, and other technical departments, in that order, become the film's high-points. The hero is an absolute treat to watch, although his looks are excessively sophisticated for a period film. His dialogue delivery, his fanatical fraternal sentimentality, his equations with Rama Lakshmi (to an extent) go into elevating his performance. Samantha slips into the role with ease, and she is a pucca village girl every bit. Her reaction when the hero slaps her is brilliant. 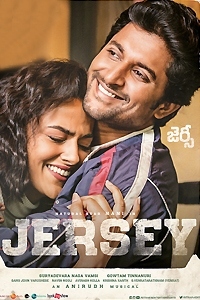 Jagapathi Babu is largely OK, while Aadhi looks so very authentic. He delivers a matured performance. Mahesh is very good in emotional scenes. Anasuya fits the bill. Prakash Raj, Ajay Ghosh, Naresh, Rohini, and others are good enough. Devi Sri Prasad's extraordinary tunes rev up the proceedings, especially in the first half. His RR will be talked about for the brilliant deployment of instruments. Rathnavelu's camera captures the village ecosystem without a touch of unnecessary flamboyance. Ramakrishna and Monica do a fantastic job with art work. Brother sentiment is the story's biggest strength. Ram Charan delivers a dekko as a pure-hearted villager to whom his brother and girlfriend mean the world. Exhilarating making values help matters. On the flip side, cliched scenes are not few and far between.